appearance of an outdoor picnic. 5. 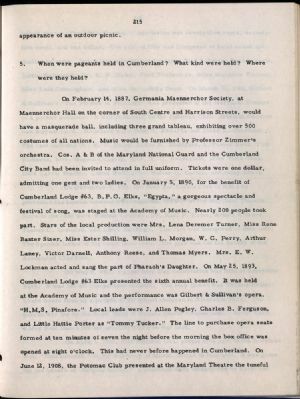 When were pageants held in Cumberland? What kind were held? Where were they held?